To purchase a family ticket or book with season ticket holder discount you must email [email protected] or call, these cannot be booked online. 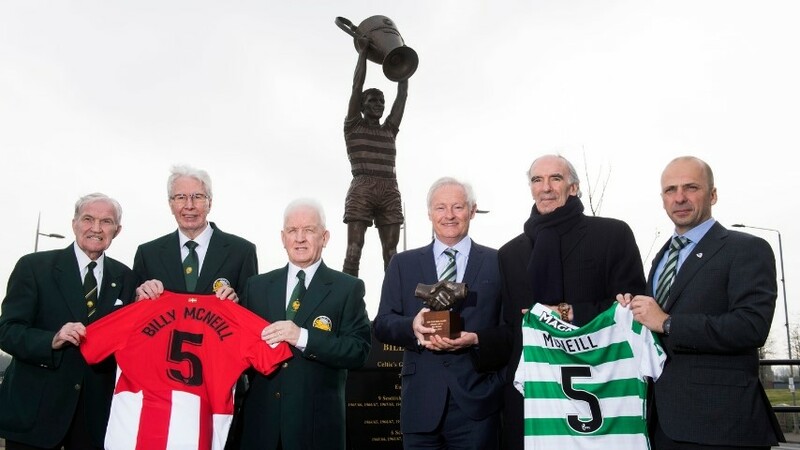 Celtic Park is one of the biggest football stadiums in Europe, making it the perfect place to learn all about the colourful history and heritage of Celtic Football Club from its inception in 1888. Experience firsthand, Celtic's heritage and culture that has made the club famous and renowned the world over. Take a guided tour of the stadium as well as taking a trip through the history of the club through our various informative and impressive exhibitions. 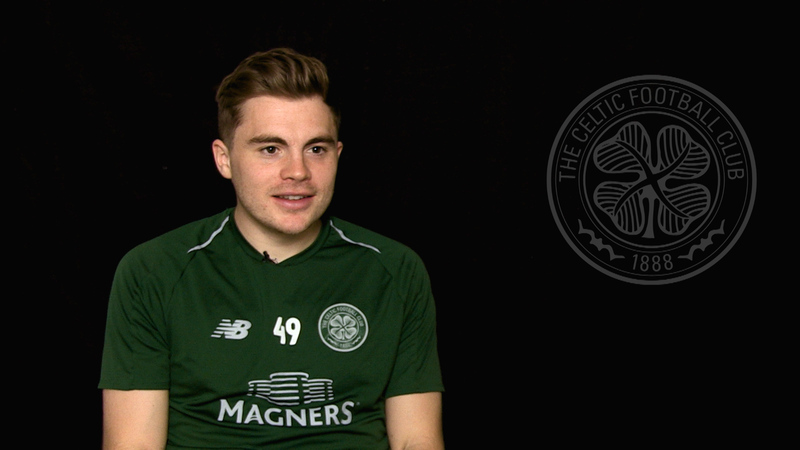 On arrival you will be directed to the Jock Stein Lounge which overlooks the Celtic Way, there is an opportunity to purchase food and beverages within this lounge as well as enjoy a Celtic FC DVD and your first look at some of the club memorabilia. You can view the tours café menu here. For Pricing for Season 2019/20 please CLICK HERE. 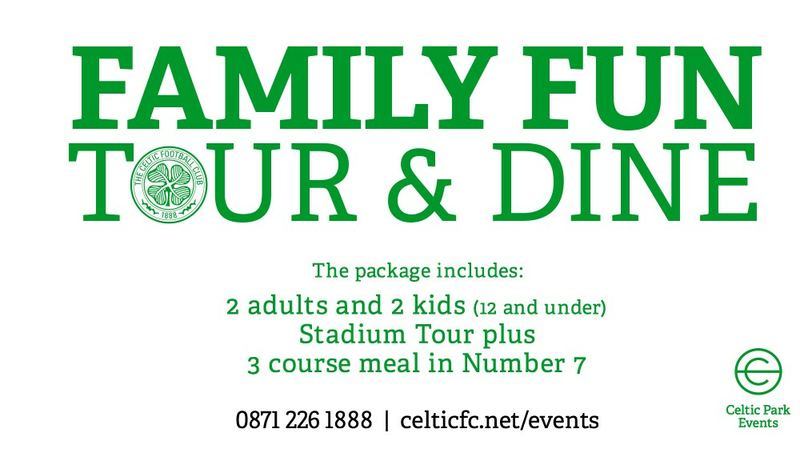 Full pre-payment is due at the time of booking a stadium tour, tour & dine and tour & dine celebration packages. All stadium tour, tour & dine and tour & dine celebration packages are non refundable and non transferable. Our Bhreakfast Club offer includes Breakfast roll and hot/soft drink on arrival followed by Full Stadium Tour. Available on Saturday and Sunday non match days on 10am and 10.30am Stadium Tours. Please arrive 30 minutes before tour start time to enjoy breakfast roll and drink. Enjoy a full stadium tour and 3-course meal in the Number 7 restaurant. Celebrate your special occasion with full stadium tour followed by arrival glass of sparkling wine in Number 7 restaurant, 3-course carvery meal, celebration cake and personalised menus. Full tour plus adults dine from 3 course carvery menu and kids 3-course children’s menu with sparkling wine on arrival (soft drink alternative), celebration cake and personalised menus. Spend a day visiting two of Glasgow’s iconic landmark’s embarking on a stadium tour at Celtic Park followed by a tour of Wellpark brewery. Experience first-hand, Celtic's heritage and culture that has made the club famous and renowned the world over. Take a guided tour of the stadium as well as taking a trip through the history of the club through our various informative and impressive exhibitions. Following your tour at Celtic Park you will make your own way to the Tennents Visitor Centre at Wellpark Brewery. Wellpark Brewery in Glasgow is home to more than 450 years of brewing tradition and award winning beers. A tour of the brewery takes you behind the scenes to discover how Tennent’s is made so special, learn about the rich heritage of one of the country’s most loved brands as well as about the production… And to top it all off, there might even be a cheeky wee taste of Scotland’s Favourite at the end of the tour in it for you. It is important to wear suitable flat shoes as you will be taken into working areas at the brewery. Customers are advised to be aware of the necessity to ascend and descend over 100 steps during an estimated tour duration of 1 hour 15 minutes at Wellpark brewery. Customers are advised to be aware that due to essential cleaning processes of the brewery machinery, some areas of the production process may not be fully operational. Bookable Sunday – Friday subject to availability, joint tour not available on Saturday. Terms and conditions apply, cannot be used in conjunction with any other offer. 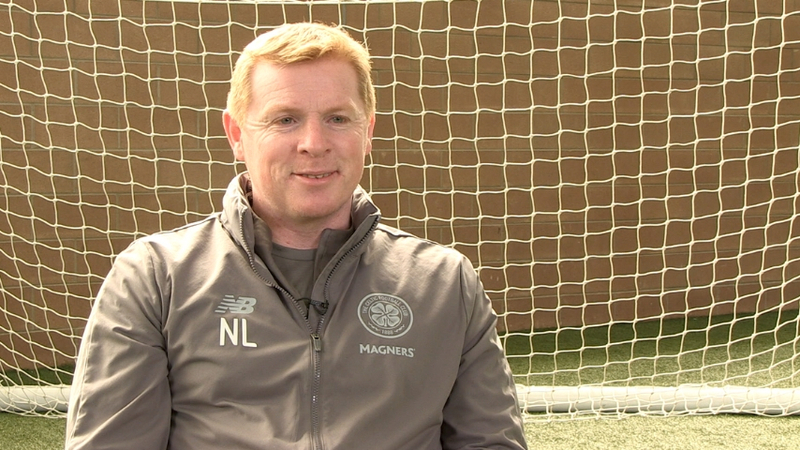 Celtic Park and Tennents brewery joint tour must be booked in advance and fully pre-paid. For more information or to book the joint stadium and brewery tour by emailing [email protected] or call 0871 226 1888 option 4. Calls cost 13 pence per minute, plus your phone company’s access charge. Please contact the booking hotline for further information and rates. Pre booked catering options are available for groups of 10 or more, please ask a member of staff at the time of booking. Email Booking Request: Click here to email a booking request.